For the first time in human history, you don’t need to go bald. No really. You are among the first group of men in the history of humanity who otherwise would’ve gone bald, that never have to. Hair loss treatments today are effective at preventing and even reversing male pattern baldness and thinning hair. The problem is knowing which ones are actually going to work to stop your hair loss. In order to decide on the hair loss treatments that will optimize your chances of the best results, you should understand the basics of what causes thinning hair and receding in the first place. 1 What Causes Hair Loss in Men? 4 How Long Does it Take For Results? 5 What Are My Chances of Success? As you begin to age, genetic changes in your scalp make your follicles sensitive to the hormones already in your blood stream, and tissues. When this happens your body begins to reject those hairs slowly, via several processes which we still don’t quite understand. Stimulating hair growth despite it. If a treatment does not have ingredients which address one of these three major elements, then it is not an effective hair loss treatment. Period. Only three types of hair loss treatments are going to work: Treatments that address the hormonal problem. Treatments that stimulate growth. And anti-inflammatories. Antiandrogens. Prevent further hair loss. Stop the underlying cause. Growth Stimulants. Stimulate new hair growth. Revive dormant follicles. Anti-inflammatories. Calm the scalp. Needed for other treatments to work. When you hear about a new treatment – the only thing that matters is the ingredients, and the data supporting them. Hair can be thickened anywhere it’s still growing. Therefore a hair loss treatment regimen is worth pursuing for all types of loss. Do you need to keep taking these treatments forever? Yes, but try not to get depressed about this. You do things every single day which prevent decline in your health. They expect results in 3 months, see some initial shedding, and throw in the towel. But not you. You’re smarter than they are. And that’s why you’re going to see results. Treatments take time. Improved results are seen with each new 3-5 month cycle, and peak hair growth is typically not seen until the 2 year mark. It’s at this point that you can expect to plateau at whatever level you’ve attained. And by that point if you’re on a proper set of hair loss products, you should be happy with your results. How much you’ve lost plays a role in what approach you need to take. You may wish to familiarize yourself with the “Norwood Scale”. It is a great way to know where you fit in, and to see how things may continue if you leave your hair untreated. As a general rule, guys who are Norwood 4A or lower will see the best results, and if they use the proper treatments, should expect to maintain their hair or regrow between 20% and 70% of their lost hair back. Guys who approach Norwood 5 or higher will only see results on combination regimens like Propecia and Rogaine together, and likely must add other clinically-backed treatments to enhance the effects. Norwood 5 is also typically when you get into the realm of needing a Hair Transplant for optimal results. 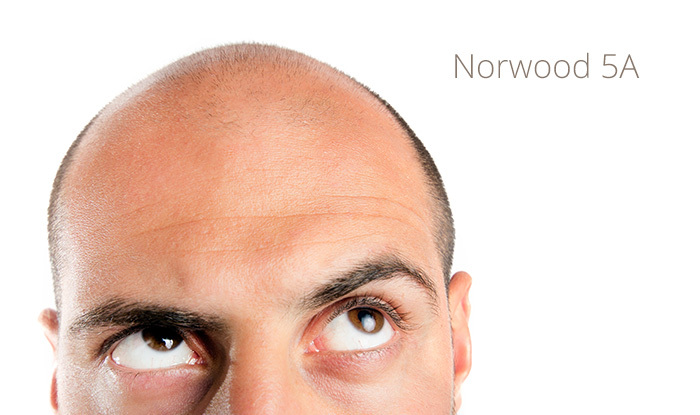 Lower Norwoods will sometimes benefit from smaller Hair Transplant procedures as well, but at Norwood 5, you’ve often lost too much to get it all back with treatments. Nevertheless, these guys will still be advised by any legit hair transplant surgeon to begin a Propecia and Rogaine regimen. 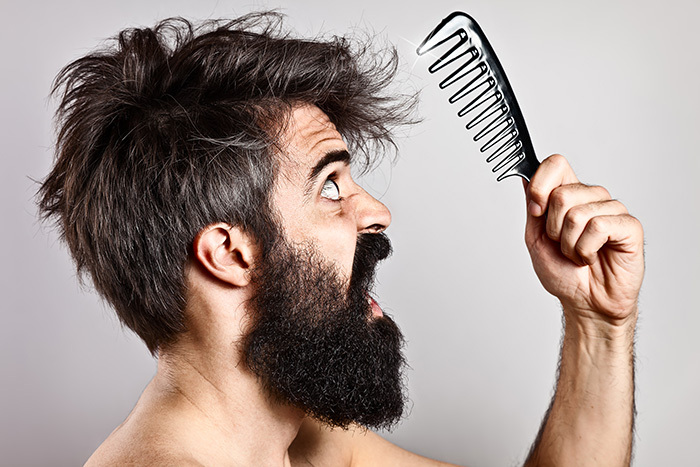 They can sometimes still see dramatic gains which will significantly thicken their hair transplant results. Besides, you may continue losing hair even after the procedure, and so treatments are needed. The most important thing you can do is stop the hair loss from getting worse, and that is where Antiandrogens come in. Many guys see noticeable regrowth from Antiandrogens alone, and those who give it a solid year can always add a growth stimulant for additional gains. Let’s take a closer look at the three major categories of products intended to stop the loss. DHT Inhibitors | Antiandrogens: DHT inhibitors reduce levels of DHT either in the bloodstream or in the scalp by inhibiting its creation. Antiandrogens block DHT from reaching the follicle. When you reduce the quantity of DHT in your body or scalp, you eliminate 1 major cause of thinning hair. DHT inhibitors are found in products like Finasteride, and Revivogen. Antiandrogens are found in treatments like S5 Cream, S5 Plus Cream, and Kourosh DHT Blocker. Growth Stimulant Treatments: Rogaine Foam, Rogaine Liquid, Tricomin, Folligen. Anti-Inflammatories: These treatments work to reduce inflammation, itching, redness, and flaking caused by the hormonal reactions going on in your scalp. Without an anti-inflammatory, your other treatments will not work. Anti-Inflammatory Treatments: Nizoral Shampoo, Regenepure DR, Tricomin, Folligen. The treatments in this category should be viewed as your “core” regimen. However the second set of products can dramatically enhance the effects of these core products when used together. Propecia's main purpose is helping you keep what you've got and thicken up slightly, after 2 years use. It is for Men only. If you have lost a significant amount of hair already, you should consider a combination of Propecia and Rogaine Foam for best results. Rogaine is clinically proven to regrow hair in 85% of men and women who use it. Combining this growth stimulant with a DHT inhibitor will give the best chances of results after 2 years of consistent use. Propecia, Rogaine, and Nizoral / Regenepure make up the "Big Three". A term coined for the ultimate approach in treating hair loss. Combining a DHT inhibitor, a growth stimulant, and an anti-inflammatory shampoo will give you your best chance of maintenance and regrowth after 2 years consistent use. Alternative to Propecia for Men & Women. S5 Cream is a topical androgen blocker that works similarly to Propecia. Especially when combined with Revivogen. Stop hair loss without the side effects. An enhanced solution of S5 Cream with two additional pharmaceutical-grade ingredients which triple the effectiveness of the original solution by hitting hair loss from 2 additional angles. The best natural combo treatment on the market. Both a DHT Inhibitor, Antiandrogen, Growth Stimulant, and Androgen Blocker in one. Combined with S5 Cream, you can duplicate Propecia's benefits without the side effects, and works great for both men and women. The best natural growth stimulant on the market today. Great natural alternative to Rogaine for both men and women. Tricomin stimulates hair growth and conditions your scalp. Its our biggest selling natural product aside from Revivogen. Can be combined with a DHT inhibitor for maximum results. A topical DHT inhibitor which inhibits DHT levels by 96% in the scalp using Azelaic Acid, a powerful topical antiandrogen not found in other clinically backed treatments in this class. Used in combination with Revivogen and S5 Cream you have outstanding coverage in hair loss prevention. Laser hair growth in your home. The HairMax Laser Comb is a take-home version of the expensive treatments in salons costing $200+ per visit. It has been shown to stimulate new hair growth and dramatically improve the appearance of your hair. Nizoral is a crucial part of your hair loss regimen. It reduces the irritation, inflammation and itching. It has antiandrogenic properties and is the only shampoo which can help stop your hair loss. Use it once every 3 days and allow it to soak.